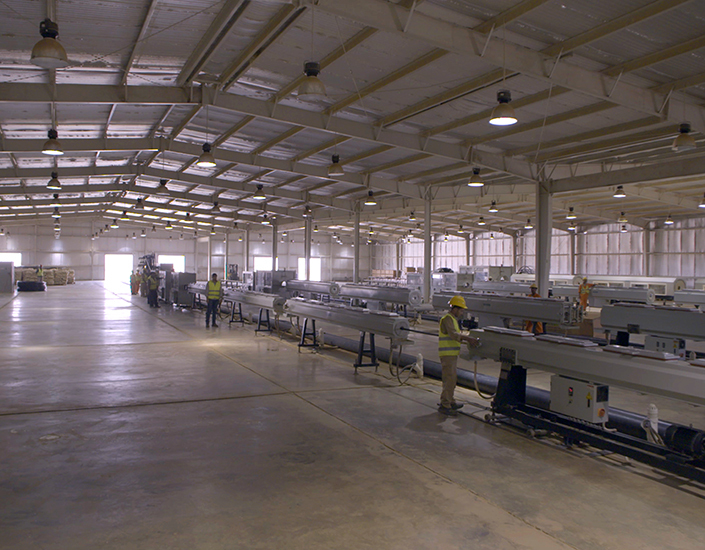 Jenaan has a state of the art pipe extrusion factory onsite at Amtaar in Sudan to manufacture all the necessary size pipes needed for the irrigation system, from main lines to overhead pipes. The factory is strategically positioned from a logistical perspective, to serve the local and neighboring countries. The raw materials used to manufacture the pipes are carefully selected amongst the best available on the market. It is produced from Polymerization of Ethylene and their lifespan in a system is estimated for at least 50 years. This is important to withstand the harsh desert conditions in which these irrigation systems operate in and to minimize maintenance on the system.